1) I learned that my sidewalk is really 5ft wide instead of 3. 2) vinca, ivy, and creeping junipers are a HUGE pain in the a** when growing together let alone by themselves. 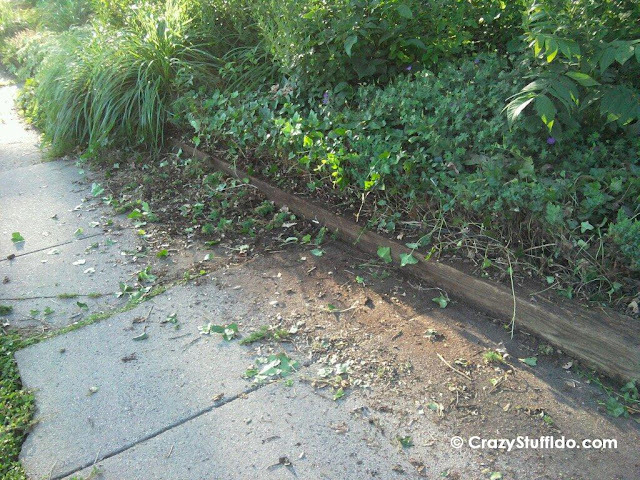 Plants gone wild - My sidewalk was really 5 ft wide, not 3! The ivy just above the planter along with the creeping juniper that it covered and intertwined with was extended out into the sidewalk where the dirt marks are. Wow.